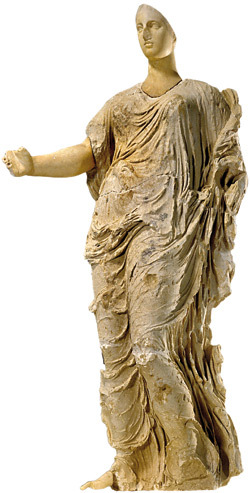 Illicit Cultural Property: " In effect the goddess has been returned to those who looted her. . ."
" In effect the goddess has been returned to those who looted her. . ."
Jason: Yes, there is plenty of irony here. In effect, the goddess has been returned to those who looted her, broke her into pieces and smuggled her out of the country for profit. Aidone is a very small town, and I was told that several of the locals who attended the ceremonies used to be clandestini -- the Sicilian term for looters.